There’s been a lot of talk these days about our shredder, DeMarcus Paul. 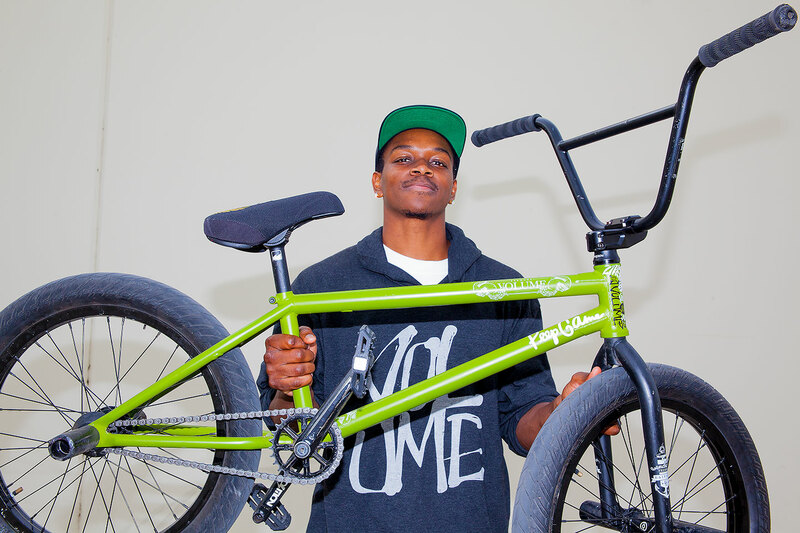 He’s a humble dude, loves to talk to anyone about bmx, and he’s been ripping for a good portion of his adult life. It’s good to see all his hard work paying off, especially more-so after everything he’s about to release! Above is a photo of him and his Olive Bermuda V2 colorway. Get at it at your local Volume dealer and maybe, just maybe you can ride like the man himself.